BEST VALUE ! We often hear that our beautifully designed soaps are "much too pretty to use every day." For our customers that appreciate the healthier physical properties of our sculpted soaps, we've created this simpler form. 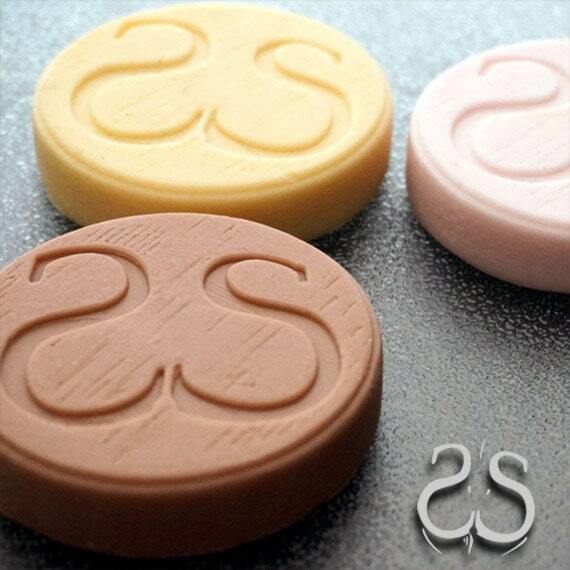 Each puck shape weighs 2.3 ounces and has the same fragrance and color combinations as our other soaps. This size is ideal for children and short stay house guests. Each package is a 3 set bundle and is our best value per ounce! 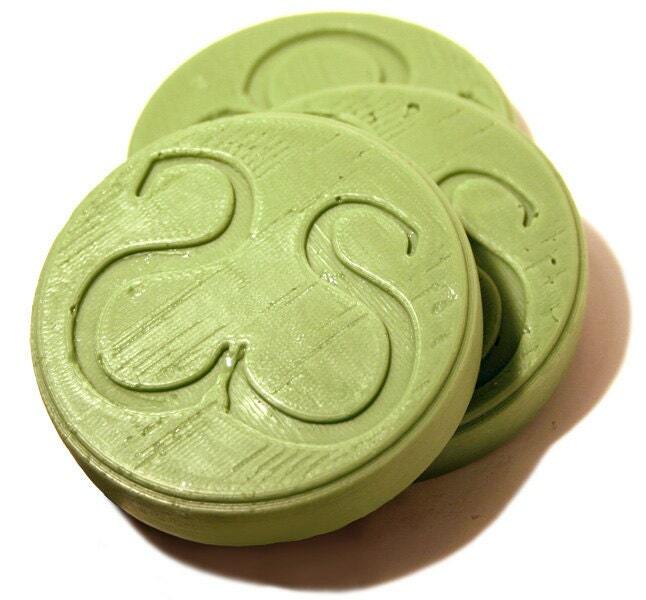 This 3" round by 5/8" tall puck shape bar is made using our vegetable based soap formula and is delicately scented. Using natural oils makes it smooth and creamy to use while achieving a rich lather. Please select from the 9 color and scent combinations above. They are packaged with natural craft cardboard wrapped with natural raffia. This packaged item weighs 13.5 ounces for the first soap bar. Shipping cost drops per item for 2 or more soap bars.